Is it just me, or does anyone else feel like they’ve been so behind in Christmas preparation this year? I love the Christmas holidays. Every year, I always look forward to November rolling around because they means I can start rolling out my holiday decorations and music without getting too many “You’re crazy” stares from friends and strangers. 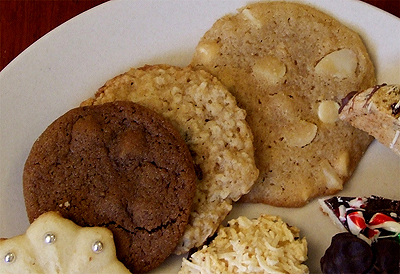 I usually go all out when it comes to Christmas cookies, and this year was no exception. I managed to make ten varieties. 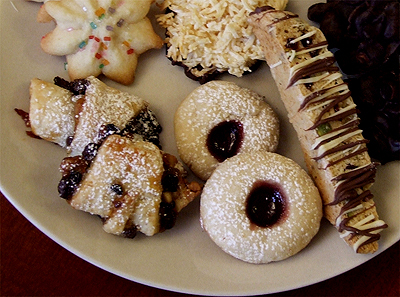 Some perennial favourites on my Christmas cookie platter this year included Cranberry Pistachio Biscotti (which I featured yesterday), Cranberry Coconut Oatmeal, Chewy Chocolate Ginger, Rugelach (courtesy of Milk and Cookies) and Coconut Macaroons. 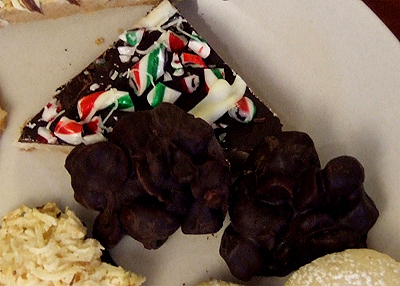 Some new ones made it onto the plate as well: Peppermint Bark Shortbread (featured in the December 2009 issue of Bon Appetit, Fruit & Nut Chocolate Clusters, White Chocolate Macadamia, and Raspberry Cream Thumbprints. And while the Sugar cookie made an appearance again this year, it came back with a whole new look, as I used my fancy cookie press in lieu of cookie cutters. 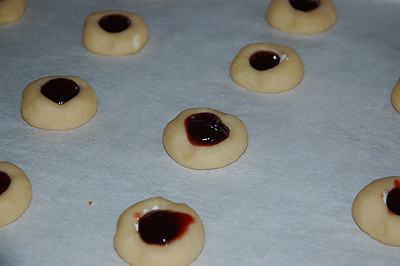 Out of the new ones that I added to the mix this year, my favourite has to be the Raspberry Cream Thumbprints. The addition of cream cheese to the dough makes it a dream to work with—a soft and pliable dough that doesn’t crumble, leaving behind perfectly shaped little thumbprint cookies. And if you’ve ever had a Raspberry Temptation or a Peek Freans’ Fruit Crème, here’s some news flash: they taste just like it! The recipe makes at least 4 dozen cookies, which may seem like a lot but trust me, you’ll need all of them. They’ll be gone before you know it! 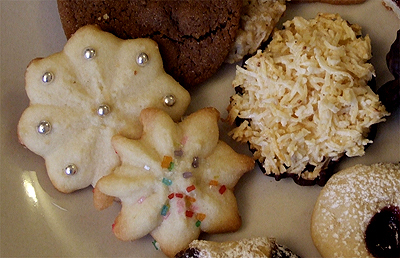 Be sure to check back tomorrow, when I'll post my final recipe from my 2009 Christmas Cookie Round-up, the Spritz Sugar Cookies! In a large mixing bowl, cream the butter, cream cheese and sugar until light and fluffy, about 3 minutes. Beat in egg yolk and vanilla. Add flour and salt and mix well. Cover and refrigerate for at least 1 hour, or until easy to handle. Shape dough into 1-inch balls. 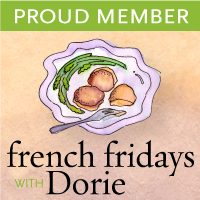 Place 2 inches apart on parchment-lined baking sheets. Using the end of a wooden spoon handle dipped in flour, make a 1/2-inch-deep indentation in the centre of each ball. Fill each hole with about 1/4 teaspoon raspberry jam. Bake for 16 to 18 minutes, or until set and bottoms are golden brown. Remove to wire racks to cool. Before serving, dust with icing sugar if desired. 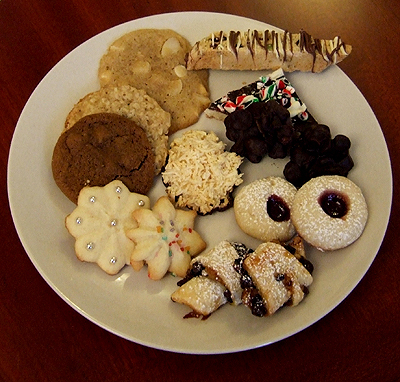 Posted by Bonita at 2:00 p.m.
simplyfood December 31, 2009 at 10:09 a.m. These look lovely and my mouth is watering!! Don January 5, 2010 at 10:44 a.m.
As one of the lucky recipients of your Christmas Cookies for 2k9, thank-you.